Learn how Copysonic helped Tracey fix her printing problem. Tracey is the Member Services Administrator at The CEO Circle, an invite-only membership organisation which facilitates one-of-a-kind forums for leaders and influencers to share advice, experiences and opinions in a supportive, confidential environment. Having printing systems that run smoothly and reliably is of the utmost importance to the group as each 'circle' convenes six times a year for half-day meetings facilitated by an independent chairperson. Therefore, there is a lot of paperwork involved in enabling connections and exchanges between members, guests and organisers. To ensure all events and communications achieve maximum success, they must be sent through the appropriate means at the appropriate time. To find out more about the different types of digital and multifunctional copiers that might be appropriate for your business, enquire online or call [phone] to speak to one of our friendly printer technicians. Tracey approached us at Copysonic with a major problem - the team at The CEO Circle were unable to use their photocopier as it was producing poor-quality images. This was negatively impacting her day-to-day work as well as the group's overall operations. Smudging, poor print quality and faded type were making even the most carefully prepared documents look sloppy and unprofessional. Technology is a thing of beauty when everything's operating correctly - but when systems break down, or printers get snagged, the frustration can be immense. It's magnified when the malfunctioning system affects a whole team of people and ultimately derails an organisation's efficiency. We reassured Tracey we'd find a custom solution to her printing problem in no time. We knew it was important that she and her colleagues could get back to confidently sending and sharing documents as soon as possible. We established The CEO Circle had purchased the malfunctioning copier directly from the manufacturer, Toshiba, some time ago. Toshiba makes reliable and easy-to-use machines; however, the problem here was that the machine was being overused. Tracey had been unable to get Toshiba technicians to visit their headquarters to assess and repair the machine, therefore as time went by, the print quality issues got worse as its functionality deteriorated. Our team of technicians drove out to service The CEO Circle's copier and replace the worn-out parts to achieve a better quality printing result. However, issues continued to arise, and Tracey asked us to come out to service the machine for a second time. We quickly diagnosed that the real problem was that the machine had become unable to service the group's needs and was inadequately equipped to handle the amount of copying and printing that Tracey and her colleagues needed to do. 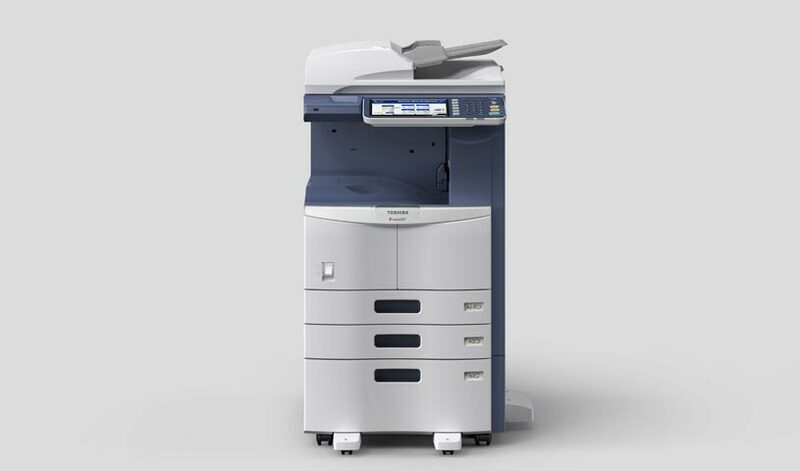 We put together a free-of-charge quote for a Toshiba copier rental on a three-year lease agreement and presented it to Tracey as a superior solution to continuing to request service call-outs. 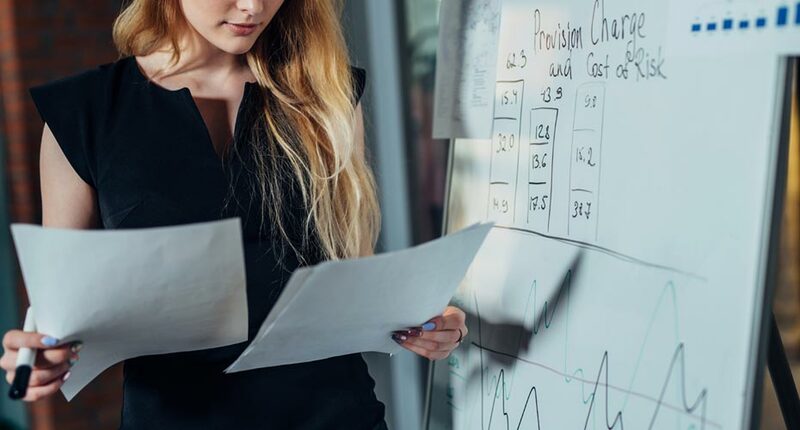 She was delighted with the short duration of the lease as, in her experience, most providers and manufacturers only offer lease agreements for five years or more. She had never felt confident that she wanted to commit to a copier rental for that length of time due to how quickly printer technology becomes obsolete in today's world. However, a three-year lease with flexible terms made renting a viable solution for The CEO Circle. In addition, we explained to Tracey that by choosing a copier rental, she would save a lot of money in the long term. The cost of repairs to her old Toshiba machine far outweighed the total rental cost of a new Toshiba copier - one that was far better equipped to handle a large volume of printing demands. Plus, all of our lease agreements at Copysonic include free maintenance from our qualified technicians, who are all experts at servicing Toshiba copiers. Tracey was also pleased to learn that by choosing our rental option, she would receive a steady supply of consumables including inks and toners. It's all part of the deal here - we believe a new copier with a service contract should come with all the bells and whistles. Which copier made the cut? The copier we leased Tracey and the team at The CEO Circle was a Toshiba E-Studio 3055C. This state-of-the-art colour copier printer offers add-on finishing accessories for everyday office tasks like automated hole punching and stapling. It boasts a large monthly duty volume for printed sheets and a reliable combination of specifications and features for small to mid-sized businesses. It provides a robust security system with sophisticated security features such as address filtering, role-based access control and much more to ensure that only the right people have access to certain information. These security features were a big drawcard for Tracey and her team as so much of what they do at The CEO Circle relies on discretion and the diplomatic distribution of information. The Toshiba E-Studio 3055C also offers basic documentation and driver downloads through an online support hub - however, as Tracey had already learnt, Toshiba doesn't provide direct in-person troubleshooting for their printers. Fortunately, as part of her lease agreement for her copier rental, Tracey can now turn to our team of technicians at Copysonic for ongoing support. At Copysonic, we can save you from printing woes with custom solutions, as well as guide you through the process of buying or renting a new printer or copier. We've been in the industry for 25 years and know how to make the entire process as painless and hassle-free as possible. Our responsiveness and fast turnaround time make us a favourite with clients around Australia. If, like Tracey, you're dealing with frustration in your workplace due to technical problems with your printer or copier, get in contact with us to deal with the matter promptly. To chat with our friendly team at Copysonic, enquire online or call [phone]. Whether you want to rent or buy a Toshiba copier printer, or get a custom quote, you can be confident that the Copysonic team will be there to support and advise you.